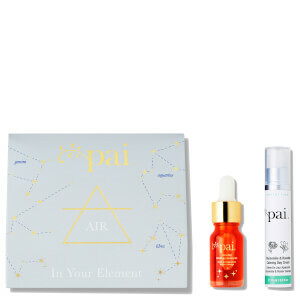 Harness the power of the elements to discover skin confidence with the Pai In Your Element Collection: Water; a duo of carefully curated skincare must-haves for any Pisces, Cancer or Scorpio. 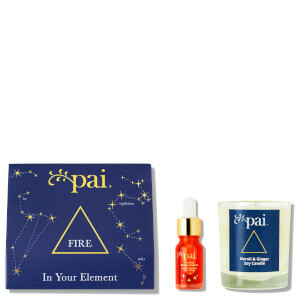 Pairing the brand’s cult-favourite Andean Rosehip-powered multi-tasking oil with a soothing botanical-infused cleanser, the decadent collection for water signs promises to revive skin’s health, resilience and radiance. Presented in a sleek gift box. Suitable for dry, delicate and sensitive skin, the non-drying cleanser effortlessly melts away the build-up of daily dirt, make-up and impurities. Packed with omega 3 and vitamins A, B and E to protect the skin's natural moisture barrier, leaving it silky soft with increased suppleness. Use with an exfoliating muslin cloth to lift away dead skin cells and reveal a smooth, even complexion. Removes even waterproof mascara. The pure cotton skin cloth has been extensively tried and tested to ensure its compatibility with sensitive skin types. It features a unique dual sided design, combining a textured muslin with a cleansing flannel for optimum convenience. Gently exfoliate with the muslin side and use the soft terry flannel for wiping away cleansing cream and around the delicate eye area. Cleanser: Apply a small amount of Cleanser to dry, closed eye, massaging gently. Using soft-terry-side of cloth, sweep over eye to clean and lift away all traces of make-up and Cleanser. 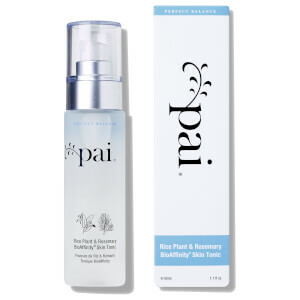 Gently massage Cleanser onto dry skin. Remove using muslin-side of cloth*, with gentle circular movements. Follow with final sweep over face with soft terry-side. * For hypersensitive skin, use only soft terry-side of cloth. Cleanser: Aqua - Purified Water, Camellia Oleifera Seed Oil* - Camellia Oil, Ricinus Communis Seed Oil* - Castor Oil, Prunus Amygdalus Dulcis Oil* - Sweet Almond Oil , Cetearyl Alcohol - Naturally derived Emulsifier from sustainable Palm Oil , Glycerin - Organic derived Vegetable Glycerine, Butyrospermum Parkii Butter* - Shea Butter , Cetearyl Glucoside - Naturally derived Emulsifier from Wheat Seed (Gluten Free) , Sodium Anisate - Natural Preservative derived from Basil , Tocopherol - Natural Vitamin E, Rosa Damascena Oil* - Damask Rose Otto Oil, Pelargonium Graveolens Oil* - Rose Geranium Oil , Sodium Levulinate - Natural Preservative derived from Maize , Lavandula Angustifolia Oil* - Lavender Oil , Lactic Acid - pH regulator derived from Maize , Litsea Cubeba Fruit Oil* - May Chang Oil , Glyceryl Stearate Citrate - Naturally derived Emulsifier from sustainable Palm Oil , Sodium Lauroyl Lactylate - Naturally Preservative derived from Coconut Oil.